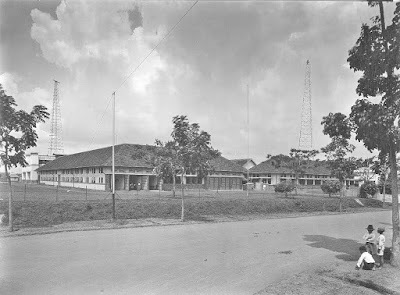 The first phone radio between Indonesia , the city of Bandung ( Dayeuh Kolot, Jalan Radio 1 ), and Holland , Radio Kootwijk were made in SSB already in 1927... Before that time they had only a CW 1 Mega Watt spark transmitter in Malabar. One of the receivers still exists in a museum in Amsterdam (cdvandt ). It is 3 meters in length and 2 meter in height.... All made with plug-able units with 1 tube inside . The transmitter was 10 kW. 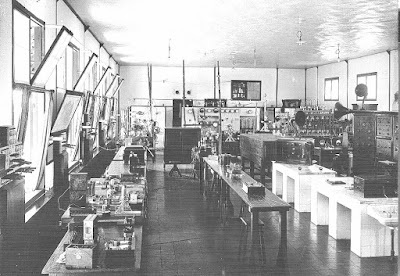 Ua was 6kV was made by dynamotors. 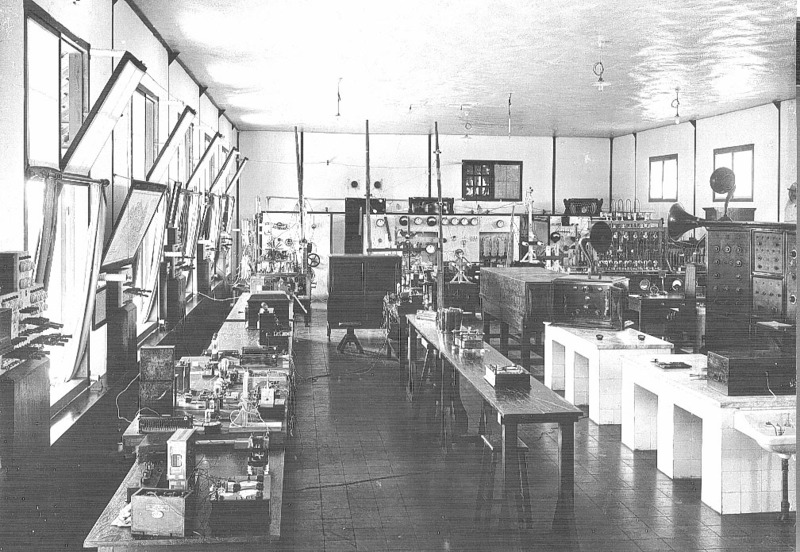 Transmitting Tubes locally made by craftsman in a workshop. Both buildings as well in Bandung and in Kootwijk still exists . At the other end was Radio Kootwijk in Holland. 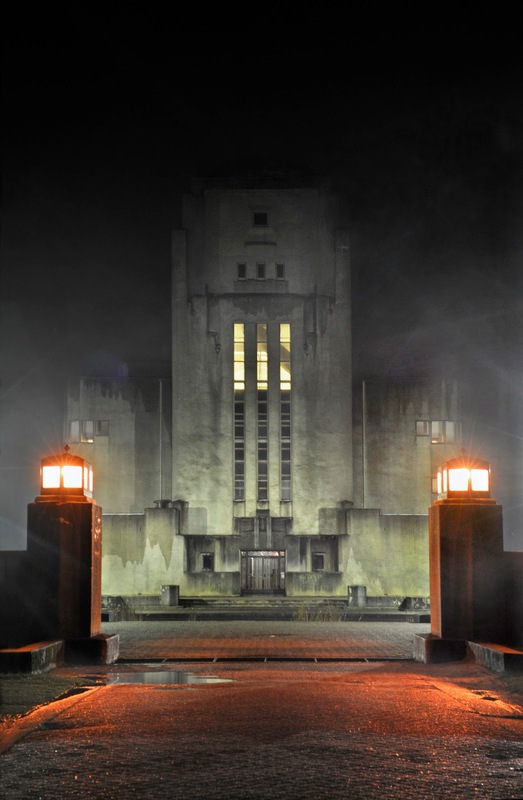 http://radiokootwijk.nu/ Thanks to PA0JWU for the wonderful site. Quite an impressive shack! My favorite part is the note indicating that local residents cleaned out the cooling pool and used it for swimming each summer.